Giving corporate gifts can be tricky. Often, we are stuck on what we can give our business partners or prospective clients. If you are looking for one, let's look at leather products. Leather gives a classy feel and has high perceived value. Let's take a look at this passport holder set below. It looks so perfect that it can go perfectly well with your personalized luggage. This passport holder is simple yet functional. A set consists of a passport cover, travel wallet, and branded luggage tag. All the items are made of the same material and use the same thread for the stitching. The concept is to have matching designs for all the items. This set does have a practical function of holding travel documents together. How wonderful it is for the product to have great aesthetic value as well. Therefore, spending on such great item is totally worth it for your marketing budget. Having matching designs shows the exclusivity of the set. Exclusivity increases the perceived value of a product. With high perceived value, our clients and partners will surely appreciate our gift. The golden rule of designing corporate gift is to brand the products. Clients and partners may be pleased with our gift. But will they remember who we are or what we are selling? This is why branding is very important. With your logo on the product, it will serve as a tool for better brand recall. Not just brand recall, branding your promotional products will facilitate free advertising and heighten brand awareness. This can happen when the products are used in public. Be sure that you have branded your products to win greater market share. Why use leather products as a corporate gift? There are a lot of branded travel accessories or other promotional items that would look more valuable in leather. Take the luggage tag as an example. Using leather will make it much more desirable. It does not have to be a real leather. Imitation leather made of PU will look great too! The effect of using leather and the flexibility it has will make leather the perfect material for corporate gifts. We can choose leather material that suits the image we need to create. Also, we can choose a lower grade material to suit our budget. Overall, it looks nice and you can be hopeful that your relationships with partners and clients are strengthened. Hi thanks for shared this nice one like Print land is also here providing the exclusive corporate gifts, awards, and like an occupation gifts . 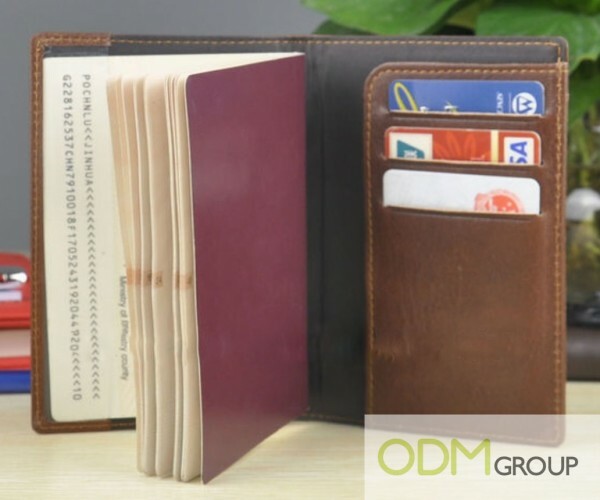 Corporate gifts, promotional products, and other giveaways are highly appreciated if they can used it on their work routine and I love it this leather passport holder. It's very unique and usable. Very classy and premium leather gift products. Logo debossing is nicely done as well!